Rare find in two Turkish children leads to discovery about autophagy. You wouldn’t think that two Turkish children, some yeast and a bunch of Hungarian fruit flies could teach scientists much. 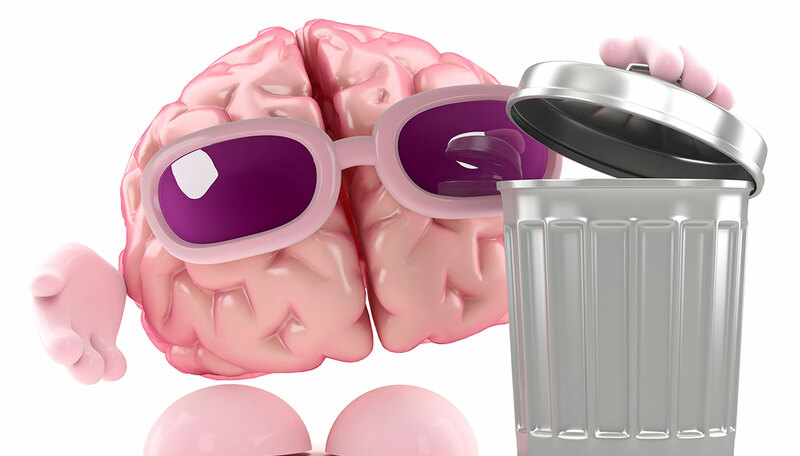 But in fact, that unlikely combination has just helped the University of Michigan and an international research team make a key discovery about how the brain’s “garbage disposal” process works — and how little needs to go wrong in order for it to break down. The findings show just how important a cell-cleanup process, called autophagy, is to our brains. It also demonstrates how even the tiniest genetic change can have profound effects on such an essential function. In a new paper in the online journal eLife, the team describes their painstaking effort to figure out what was wrong in the Turkish siblings and to understand what it meant. The children have a rare condition called ataxia that makes it harder for them to walk. They also have intellectual disability and developmental delays. Ataxia is rare — affecting about one in every 20,000 people — and can cause movement problems in people who develop it in adulthood, or a range of symptoms when it arises in children. Because researchers from the U-M Medical School had published studies about families with multiple cases of ataxia before, Turkish researchers got in touch with them when the children’s parents brought them in for treatment. That started a long chain of scientific sleuthing that led to the paper’s publication. First, the U-M team studied samples of the children’s DNA and used advanced methods to pinpoint the exact genetic mutation that caused their symptoms. It turned out to be on one of the genes that scientists know play a key role in autophagy, called ATG5. Cells throughout the body trigger their internal garbage crews by turning on this gene and its partners and using them to make proteins that help clean up the cell. The junk that these garbage crews clean up includes botched proteins — ones that have been used up or weren’t made right in the first place. The children’s ataxia gene problem turned out to be not such a big deal genetically — it was such a slight mutation that it barely changed the way the cells made the protein. But that tiny change was enough to alter the autophagy process and keep the children’s brain and nerve cells from working properly. And that’s where the yeast and Hungarian flies come in. Using them, the researchers could see what the children’s problem gene did — and what that meant for the autophagy process. That’s because the autophagy process is so important that organisms ranging from yeast to humans make almost exactly the same ATG5 protein — it’s what scientists call “highly conserved” across species. Since the two crucial autophagy partners couldn’t link together as usual, the children’s cells — and the yeast and flies’ cells — couldn’t clean up their cellular trash nearly as well. Autophagy didn’t shut down completely, but less of it happened. And the fruit flies, like the children, had problems walking. The acceleration in genetic sequencing and other testing, made possible in the last decade by advances in technology and scientific methods, means they’ll get closer to answers faster. What once took years can now be done in a single year. Having the expertise concentrated at U-M in genetics, autophagy, fruit fly biology, cell biology and more made the work go even faster, says Burmeister, who is a professor in the departments of Human Genetics, Psychiatry, and Computational Medicine and Bioinformatics as well as the Molecular and Behavioral Neuroscience Institute. U-M colleagues Daniel Klionsky, Ph.D., of the Life Sciences Institute, and Jun Hee Lee, Ph.D., assistant professor of molecular and integrative physiology, and Jun Z. Li, Ph.D., associate professor of human genetics and of computational medicine and bioinformatics, were critical to the new research.